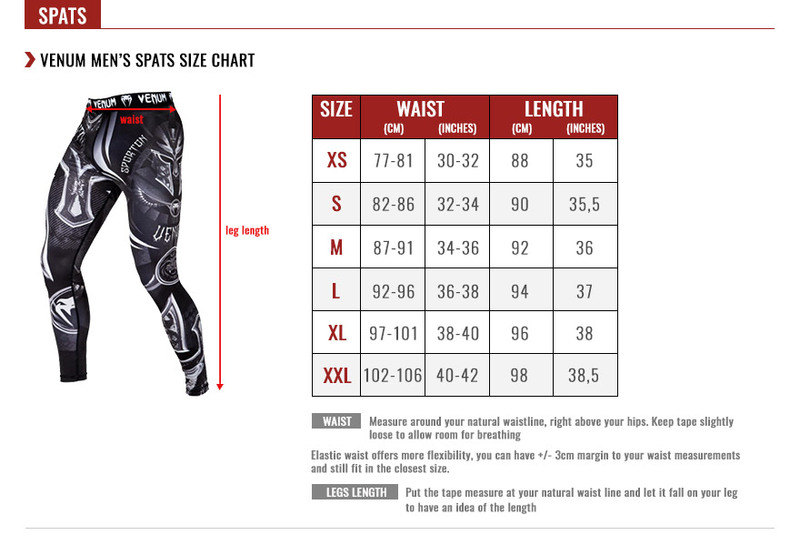 The Venum logos compression pants are ideal for intensive training sessions. With its Polyester/Spandex blended design it provides a tailored compression to facilitate improved circulation and acts as a "second skin”, providing total freedom of movement. Mesh panels have been strategically placed at the knee area and at the waist for effective ventilation. The design is inspired by the graphic history of Venum with the different logos used since the brands creation. Moderate compression: facilitated blood circulation. Mesh panels on the knee.